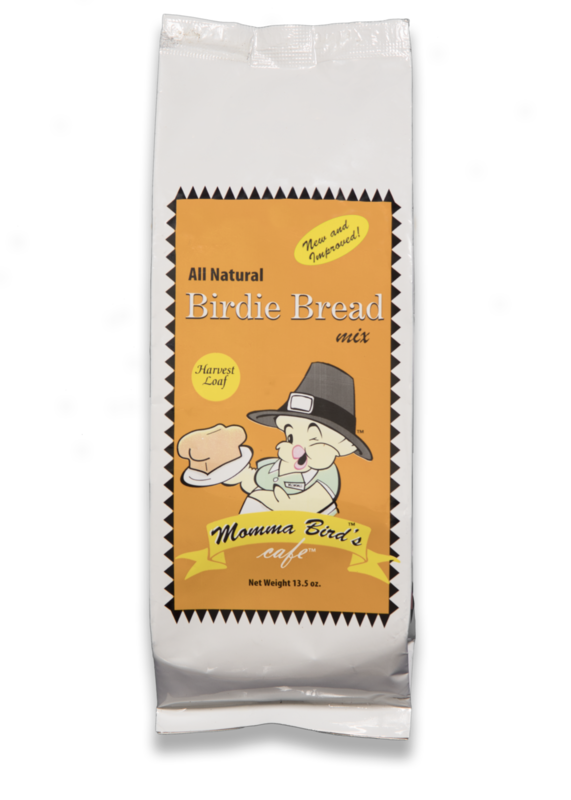 This is the birdie bread that put Momma's Cafe on the map. Our signature loaf is studded with succulent cherries, blueberries, sweet potato, carrots and corn, a hint of coconut and the crunchy goodness of healthy seeds and nuts. One taste and you'll need to buy it by the case to keep it in stock for your flock. Momma's whipped up a loaf that's chock full of black and pinto beans, corn, carrots, spicy chili peppers and a taste of cheddar cheese, providing all the color and fun of a fiesta! 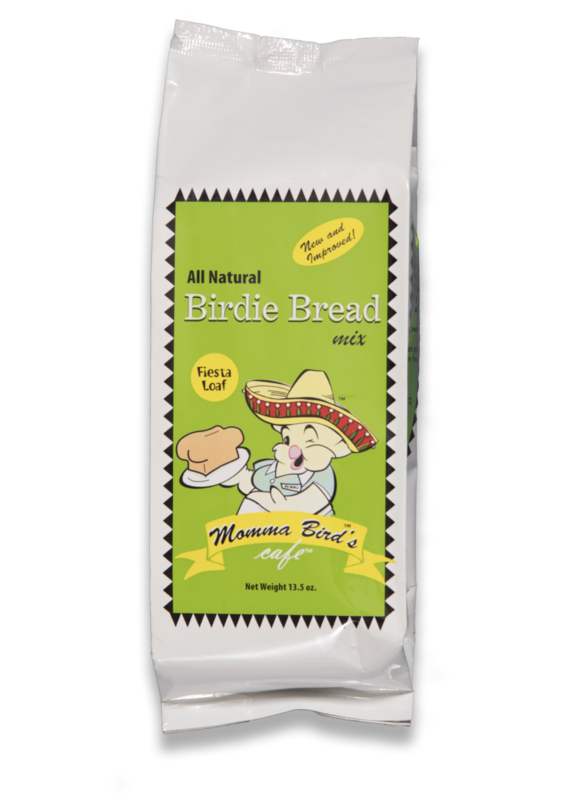 Surprise your bird with this lively Latin loaf and Polly may never ask you for a cracker again. A crunchy cornucopia overflowing with savory pumpkin and sweet potatoes, coupled with the sweet goodness of apples, cranberries, carrots and cinnamon -- Momma's celebration of the fabulous flavors of fall is a loaf luscious enough to scandalize a pilgrim. This tropical taste treat will transport your bird to an island paradise. Momma has blended specially selected fruits and veggies that call to mind the gentle ocean breeze and the warm glow of a summer sunset. 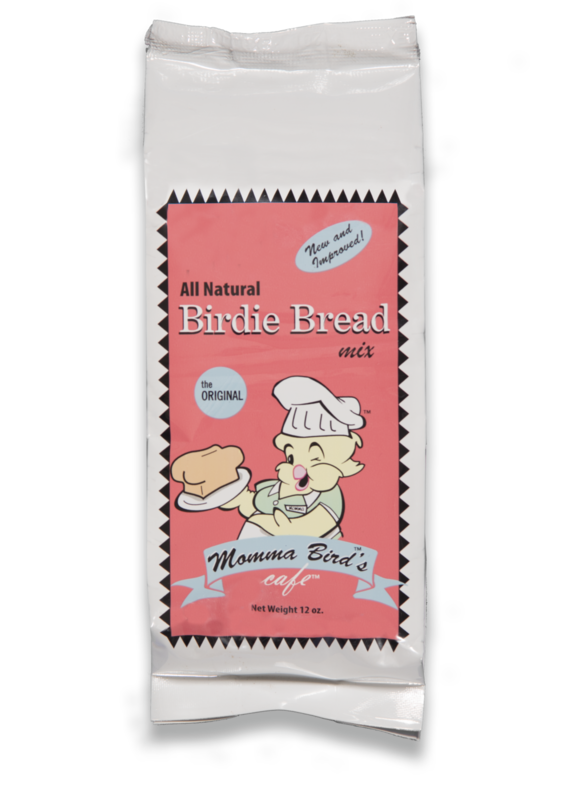 Every birdie needs something to sing about and the medley of cherries, sweet potato, red bell peppers, peas and carrots Momma has composed for this loaf will put a sweet song in your bird's heart.